2010 was a banner year for Stone Premonitions, having experienced new levels of creativity and expression, starting with the formation of the Stone Premonitions 2010 collective. Energized by the addition of keyboard and synth wizard David "OHead" Hendry, the resulting album - The Clowning Achievement - represented a new era for Stone Premonitions. Inspired by their work on The Clowning Achievement, the collective launched a new project, closing the year with two EPs recorded as The Global Broad Band. Stone Premonitions opens 2011 with yet another collective project - Stella Polaris. In an age when individuality is the exception, from Census of Hallucinations and The Rabbit's Hat to the current collective of musicians, Stone Premonitions have crafted a sound that is uniquely, and recognizably their own, while continually exploring new territory. With Stella Polaris, the collective exhibits the on-going Stone Premonitions quest for new directions. A trademark of the label has always been the combination of adventurous music and lyrics that are equal parts poignant and political lightning rod, a characteristic nowhere better represented than on the Global Broad Band's Freedom EP. Stella Polaris puts the spotlight firmly on the music, with only one of the album's ten tracks including vocals. Speaking to the instrumental nature of the album, label co-founder Tim Jones says, "At the end of The Global Broad Band recordings, I felt like I'd got a lot out of my system, but that was through words and ranting at times. I think that Stella Polaris is a natural progression from The Global Broad Band in that it's the same musicians expressing themselves in an unrestricted way as one big instrumental section to the on-going story." While in some ways different from previous projects, Stella Polaris is by no means out in left field, and veteran Stone Premonitions fans will recognize the combination of Space Rock, Psychedelia and Progressive Rock that has been the hallmark of so many earlier efforts. Listeners can groove along to spaced out psychedelic Blues workouts, cosmic atmospheric excursions, and rhythmic rocking groove tunes. 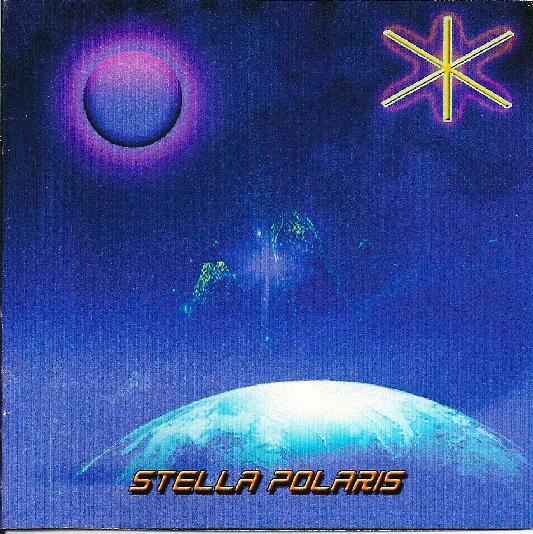 Though very much a band project, Stella Polaris is also a guitar lovers album, and Tim's guitar shines throughout, in close cooperation with band mates David Hendry on keyboards and synths, Kevin Thompson on drums, and The Reverend Rabbit on bass. With this release, Stone Premonitions greets the new year with optimism and excitement. Stella Polaris will appeal to Space Rockers, Progheads, and anyone who appreciates well crafted guitar driven instrumentals.